Dr. Christopher M. Rothman is originally from Boston, MA. He graduated from Farragut High School in Knoxville, TN and attended the University of Alabama where he received his Bachelor of Science. Dr. Rothman obtained his doctorate at the University of Tennessee, Memphis, where he had the privilege of serving on the Curriculum Committee. He graduated with High Honors and received numerous awards. Dr. Rothman performed his residency in Oral & Maxillofacial Surgery at University Hospital at the University of Cincinnati. His training included anesthesia, dentoalveolar surgery, facial trauma, reconstructive surgery, cleft lip & palate surgery, pathology, advanced trauma life support, cardiology, plastic surgery and trauma surgery. He served as National Chairman of the American Association of Oral & Maxillofacial Surgeons Residents Organization. Dr. Rothman has multiple board certifications. He is Board Certified by the American Board of Oral & Maxillofacial Surgery and has been Board Certified by the National Dental Board of Anesthesiology. 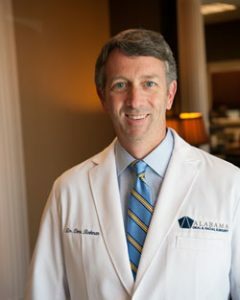 He is a member of the American Association of Oral & Maxillofacial Surgeons, American Dental Association, Alabama Dental Association, Birmingham Dental Association, and the Alabama Society of Oral & Maxillofacial Surgeons. Dr. Rothman, is the co-founder of the Institute of Medical Emergency Preparedness. He has lectured and written extensively on the subject of medical emergency preparedness and training. Dentistry Today has recognized him as one of the Leaders in Continuing Education since 2009. Dr. Rothman co-developed the curriculum for Advanced Life Support for Dentistry (ALSD) and the Emergency Response System, which has been endorsed by both national and state organizations. The emergency training program he co-developed has been implemented in dental school curriculum throughout the United States.